WooHoo! Hope you enjoy the suit as much as Brad likes his. I hope so. After all of the positive reports and especially from Brad and Chris, I don't think I'll be disappointed. Looking forward to the report on the suit's comfort levels while riding. 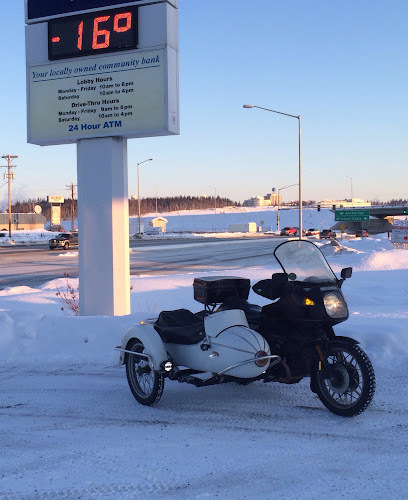 Went for a ride this morning (Saturday) and updated the post. So far, very happy with my purchase. The material seems stiff compared to my FirstGear stuff but that stuff is getting pretty worn. I love the white light in your first photo. My first feeling was one of refreshment. When we have had bright clear blue skies and white light recently it's calming and exhilarating at the same time. Sweet and funny last photo. When that situation happens with my two cats one of them throws a punch and the other one hisses and slinks away. It's been really bright these last couple of days. I think the cat was suspicious of the dog's motives. Unless the pup sits on the kitty, it looks like the kitty wins, or do they share the sunny spot? The dog eventually lay down and blocked the sun so the cat moved on to it's tree which is in the window. Lots of happy customers using those suits around here; I'm sure you'll get more and more comfortable with it. I've heard a lot of positive and not too many negatives about them. And I like the concept of only one set of gear. On my last road trip, I took two sets plus rain gear. It must've been half of my gear. Thanks for posting this, I was curious to hear how that suit was going to work out for you. I'm impressed that it kept you comfortable in those kinds of temperatures. One piece should be warmer than two but even with the FirstGear coat and pants, I rarely needed more than the Gerbings liner and there wasn't room for a second liner. 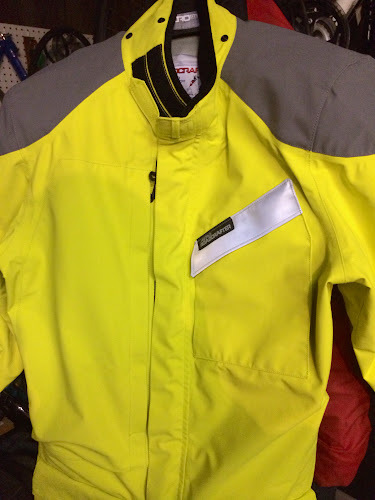 Great looking new jacket Richard....'tis the season for ordering new gear. 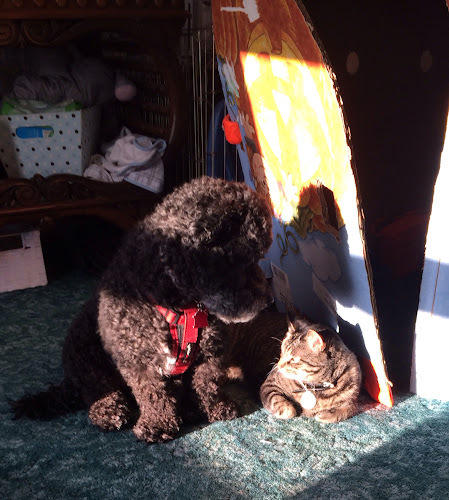 Love how the cat and dog share the sun even if it's just for the moment. In this house, cat rules, dog drools! I've been looking at their gear for a while but the one piece suits always seemed like it would be cumbersome. After Brad and Chris L got them and had nothing but positive reviews, I felt more confident. Especially after seeing the workmanship. The key seems to be getting a good fit. Brad had both a regular and "light" versions so I could see the difference. Plus he demonstrated how easily it went on and off. I have a one piece rain suit and I thought that it was a real hassle as the leg openings weren't large enough for my boots. This meant that you had to remove your boots to put it on. Poor design. 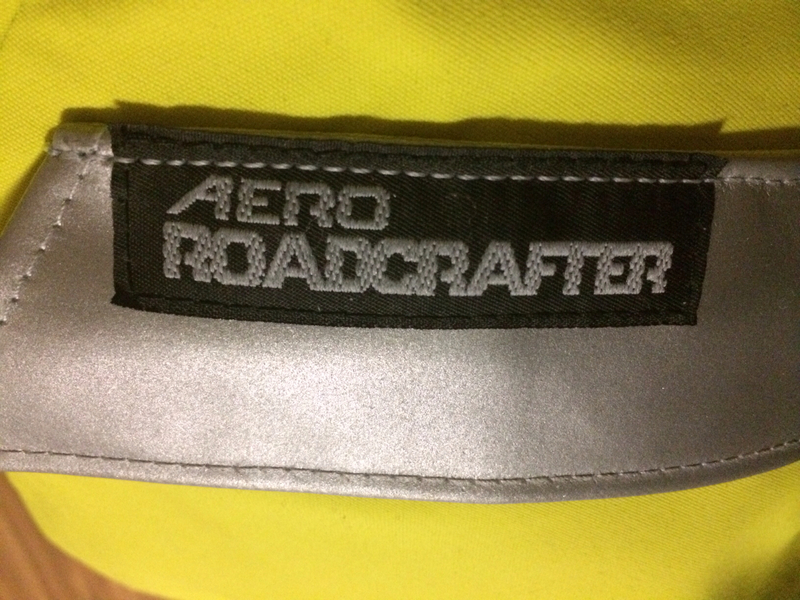 The Roadcrafter long zipper, neck to left foot, makes it easy to put on and off. The plan is for this to be the only riding gear on trips. No raingear and not needing different gear for warm and cold weather. The "light" is supposed to be cooler than the regular Roadcrafter. Aerostich rocks. Made by actual riders. Wish I could justify a tactical but I wear mesh 90% of the time. I was concerned about how warm it could be in hot weather but I've been told that the light is pretty well ventilated and not too hot. Very cool! Richard I still think you are amazing to be riding in such cold! You now have a superman suit. I think if we start travelling more I would consider something like this, it makes sense. Love the pic of the puppy and kitty they look so cozy and snugly. It's not much different to be out riding in these temperatures than those on snow machines. The main problem isn't the temperature but the visor icing up.